Today I wanted to share some more tips and thoughts that I have learned in "bloggy world". 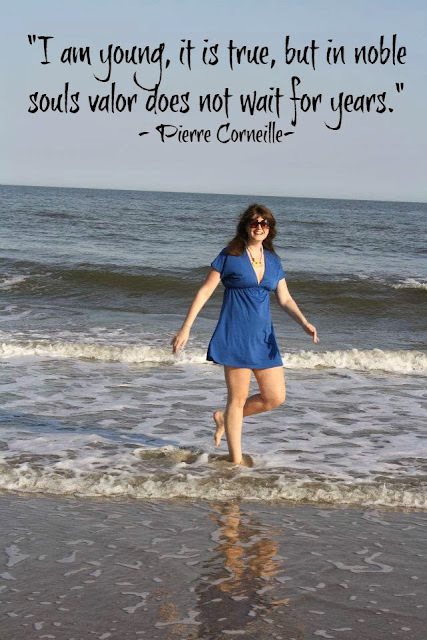 It is hard to believe that is the ONE YEAR mark of writing on this blog! While time sometimes seems to move slow, at other times (like when I realize that I have been blogging for ONE YEAR) feels like time is flying! It is also amazing to me that I have received some emails and facebook messages asking me for tips on blogging. I am truly humbled. 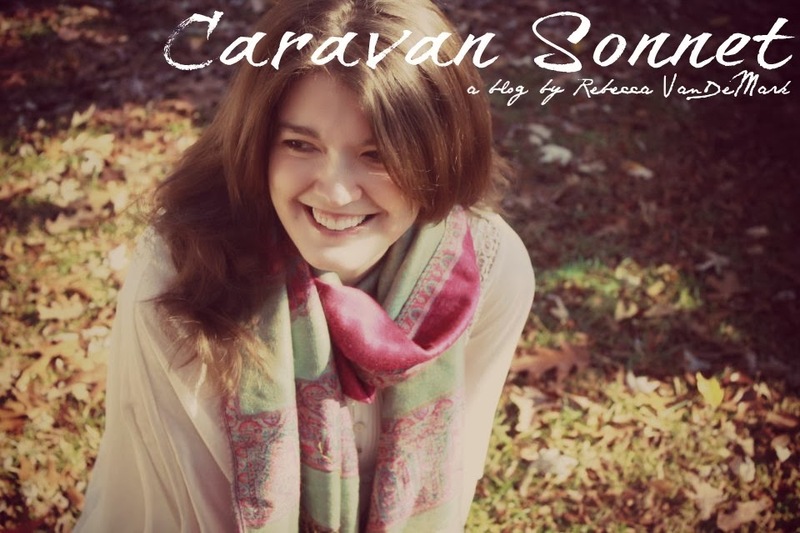 Despite the fact that I had planned and thought through the idea of Caravan Sonnet and where I would like it to go I still have and had so much to learn. I am still A.M.A.Z.E.D. that y'all read my little corner of the internet world! Thank you! Also, thank you so much to all of you lovely ladies who have made bloggy world such a wonderful experience in my life! Three months ago I shared some thoughts as a "nine month newbie" and before that as the "six month newbie", and nine months ago I shared some humble tips as the "three month newbie". Today I wanted to share some thoughts as the "one year newbie". SO thank you for walking this road with me these last twelve months and offer a few last thoughts as a newbie! Thank you again y'all! You are wonderful! 1. It is sad but true: not all sponsorships are that good. Sometimes the ones that you think will be good actually turn out to be the worst. There have been several ladies whose blogs that I faithfully followed, commented on, emailed, etc. for months and months that had expensive sponsorships that I saved up for that turned out to be the worst sponsorships that I had. I would try to email and express my concern over the way that the sponsorship was going (or what my concerns were) but I am sad to say that I ended up loosing alot of money. Thinking that I needed to gain more exposure for my blog I spent money for advertising in one term and honestly EACH of these spots had absolutely NO return. In fact in each of these spots the people just flaked out! So all of that to say- watch your money and choose very carefully who you sponsor! 2. On the note from #1 I also find it incredibly rude when you contact a blogger, apply for a sponsorship ad and you NEVER hear back from them. Some bloggers I guess think that they are to big or something for certain blogs but even if I have denied someone a sponsorship(when I was offering sponsorships) on my blog (if I don't feel that we are a good fit) I ALWAYS contact them. It baffles me when you hear nothing. 3. Don't be offended if, just like in real life, some bloggers that you want to connect with just don't feel the same way. 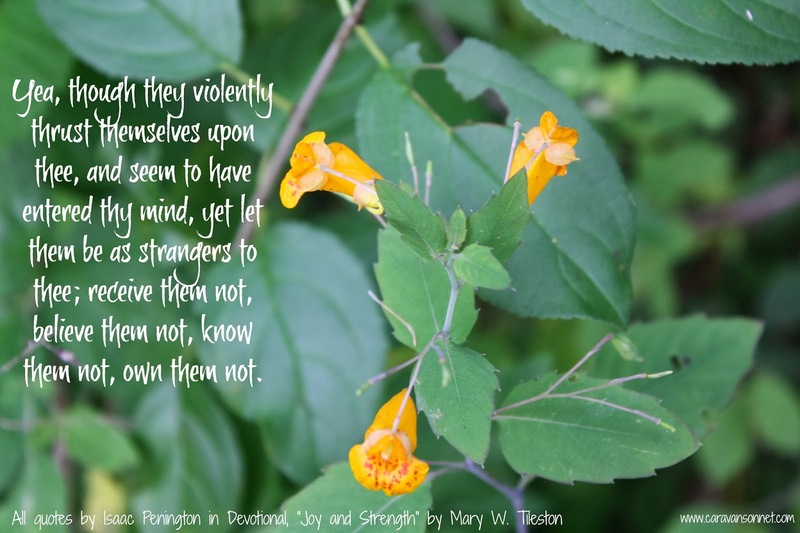 There has been a couple of ladies in bloggy world that I really wanted to connect with due to their posts, their faith, and just (what I thought) would make us "click" as friends. Unfortunately, that just doesn't always happen. I have received emails asking me for advice on this fact but honestly I would only suggest not taking things personally and continuing to search out people that you click with! 4. If you love pictures as much as I do but can't afford the more expensive options for editing, resizing, etc. 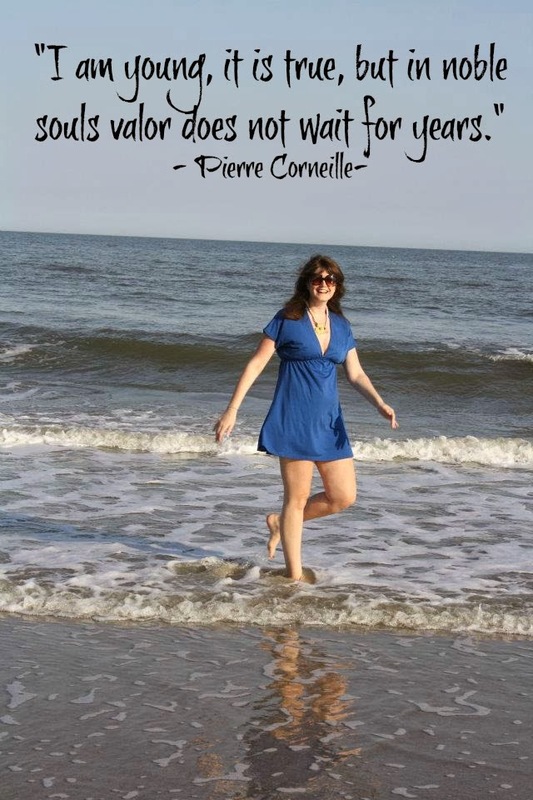 then check out PicMonkey. I have honestly found this to be such a wonderful thing! You can easily upgrade and it is very inexpensive! Check it out! 5. If you love pictures and want to "image map them" but aren't sure how to do- check out this article HERE. 6. People do all different things- which is completely fine because it is their blogs- but honestly, do what feels right for YOU and your blog. An example of this is that some ladies (whose blogs run more on the business side) will announce "time away" from their blog. Personally, I don't do this because I want my blog to have the community feel and coziness attached to that. If people are reading your blog they naturally understand that you probably won't be posting around Christmas, a move, a transition time in your life, a new baby, a wedding, etc. All of that to say- don't feel pressure to do things the "bloggy world way". Make your own bloggy world way! 7. You will if you continue to try find dear friends in this bloggy world. I have been so blessed by the lovely ladies that I have met through this world! 8. Step out and take some risks with ideas that you have. Be different! One of the ideas that I had early on in blogging was to reach out and connect with bloggers with a "smaller following". I suggested this idea to a blogger who was a little larger than me and she was very discouraging about this idea. Honestly I am so glad that I chose to move forward with it because "the petites" link up was born and I have connected with so many amazing bloggers that I would never have connected with otherwise! 10. Enjoy the process and journey of this blogging world. Just as we grow and evolve as humans in our personal lives I have noticed the blog shift and change and morph into more of "me". I can't wait to see what the Lord has in store for year two of this little space! Thank you so much for your kindness, encouragement, and love this past year! I look forward to connecting in deeper ways with y'all over this next year! 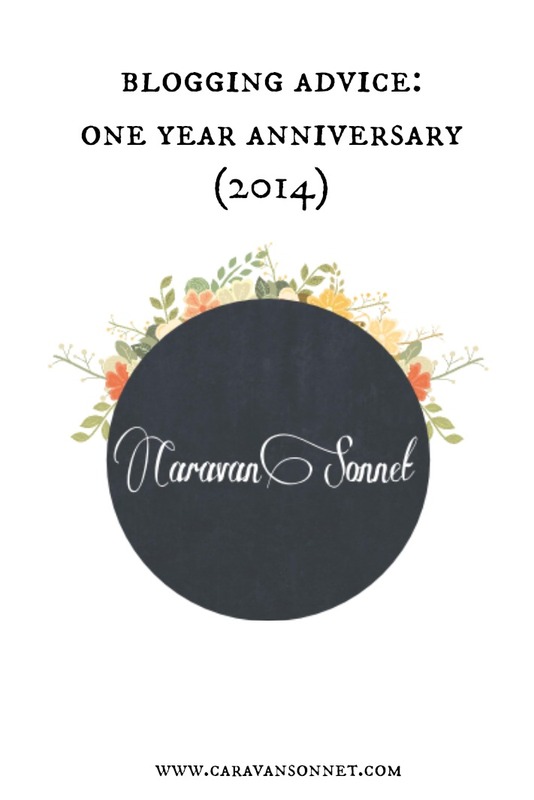 Happy One year Blogiversary! I mentioned in my post last week three tips on how to be a bad patient successfully and today I want to share three more tips with you. 1. Take Responsibility. As I mentioned last week this is a business deal and with keeping that in mind it is important to take responsibility. Take responsibility for the actions that you can have control over in your health situation (what you eat, how much rest that you get, taking time to take care of yourself, getting proper exercise, etc.). 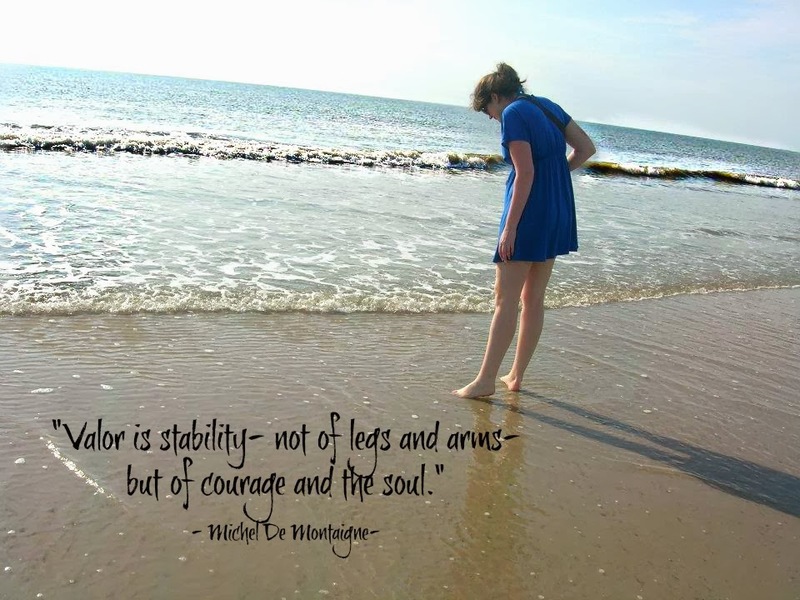 Take responsibility to have courage to fight for your health. Take responsibility to choose the best doctors for your team. You are worth the best doctors. Don't settle for less. Take responsibility and search for the best answers that you can find and to find the best health care team you can. At the end of the day remember though that even the best health care teams in the world will only get you to a certain point and the rest will be up to you. This might fly in the face of some doctors egos so if you have a doctor who doesn't want you researching and asking questions be a "bad patient", take responsibility, and find a new doctor. 2. Don't Get Caught up in Emotion and Tell the Truth. The Absolute Truth. I have a sweet friend who recently shared with me that she went for a very important appointment with a specialist in her disease. There were several things that she wanted to discuss with her doctor- specifically several symptoms that were affecting her everyday life. When she arrived in the office and saw the waiting room filled with people that were much farther along in her disease then she was and were suffering, she changed her mind and informed her doctor that she was doing "exceptionally well". Her doctor was impressed and within two minutes sent her on her way. This is all very nice for her doctor, but did my friend absolutely no good. She went on to share with me that when she got home and talked with her husband he was quick to point out that this did her absolutely no good and she still didn't have answers or suggestions on how to handle her new symptoms that were affecting her life. As she told me she simply got caught up in the moment of appreciating that she is not as "bad off" as some others and decided to not tell her doctor the absolute truth. This was a hard lesson she said to learn because when she called back for another appointment she has to wait several months. Remember that this is a business transaction and that your time and health are incredibly valuable. Your experience with your illness might not seem "as bad" as someone else but that does not diminish your symptoms or issues. So be a "bad patient": don't get caught up in the emotion and tell the truth. The absolute truth. 3. Get a second opinion. And a third opinion. And if you want a fourth opinion. I could keep going but lets be honest you get the point. 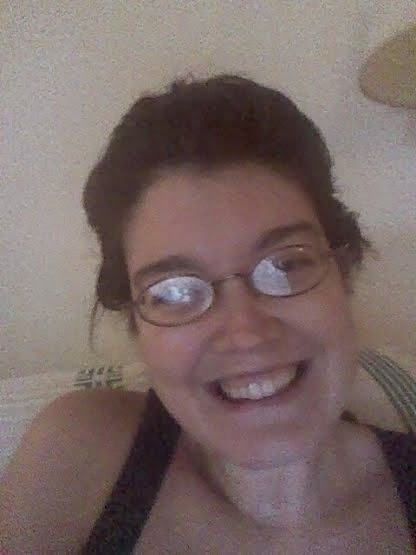 *smiles* While it is very acceptable to get a second opinion, I have found in this health journey that it is rare to actually have that happen. I am not sure why it occurs but it does. Recently as I was calling around to different doctors to get another opinion on something in my own health journey I admit that I felt a little guilty. Almost like I was "betraying" the doctors that have helped me so far. But honestly I realized that this is about my health and my life. I need the absolute best care that I can receive and need additional doctors on my team that might have new ideas, suggestions, and protocols that could help me along. Please understand I am not suggesting that you jump from doctor to doctor after an appointment or two just because you may not like an idea or are upset with them. I am talking about setting a realistic time frame and making sure that you are moving forward and receiving the absolute best care in your health journey. So be a "bad patient" and get a second opinion. And a third opinion. And if you want, a fourth opinion. I read the following words in my time with the Lord this morning and was so moved, challenged, and encouraged by them. I haven't had the chance to share with y'all these photos from the last day in New York this past summer and today seemed like the perfect time to share them. May these words bless and inspire you as they did for me! Have a lovely day friends! Several months ago I wrote a Thursday Health Thought post entitled, "How to have a Successful Doctors Appointment". Since that time I have learned so many things about not just having a successful doctors appointment but also about being a patient successfully. Along this long and winding road on my journey to full health I have learned (the hard way) that not every doctor is going to be helpful and sometimes I have to become a "bad patient" for my own health. At the end of the day the old saying is true: "you have to be your own health advocate". How true. So in the next few weeks I wanted to share with you some tips on how to be a "bad" patient successfully. This will fly in the face of normal, modern American medicine and I am not advocating being a mean or nasty person. Instead I want to try and offer some tips for you as a person who is ill or for you a mom or dad who is just trying to get the best health care for their child, or for someone that you know. I hope that this tips help you! PLEASE let me know if you have any questions and I will be happy to try and answer anything that I can! For today, I wanted to share with you the "three golden rules" of being a bad patient successfully. (2) Ask lots and lots and lots and lots of questions. I can't tell you how many times I would walk out of a doctors office (before I got seriously ill) thinking- wait, what did he/she say? Often times I would walk out and not get my answers because the nurse/doctor looked annoyed that I was asking questions. You know what? I am sorry, that is there responsibility. When I was a teacher I couldn't just ignore a question because I thought I had explained something "perfectly", no I had to learn and work on a new way of explaining the same material. This is the same thing- you are paying these people and they need to be able to explain to you what is going on with your health. Remember at the end of the day- it is your health and you are going to have to live with your body so ask lots and lots and lots and lots of questions. Still don't understand? Ask some more. (3) Do not worry whether your doctor likes you or not. I know, this is hard because really most of us do want to be liked by people. BUT you are not paying your doctor to like you. You are paying your doctor to help you get answers, find a solution, and be able to move on to better health. Remember - this persons job is to help you get well. 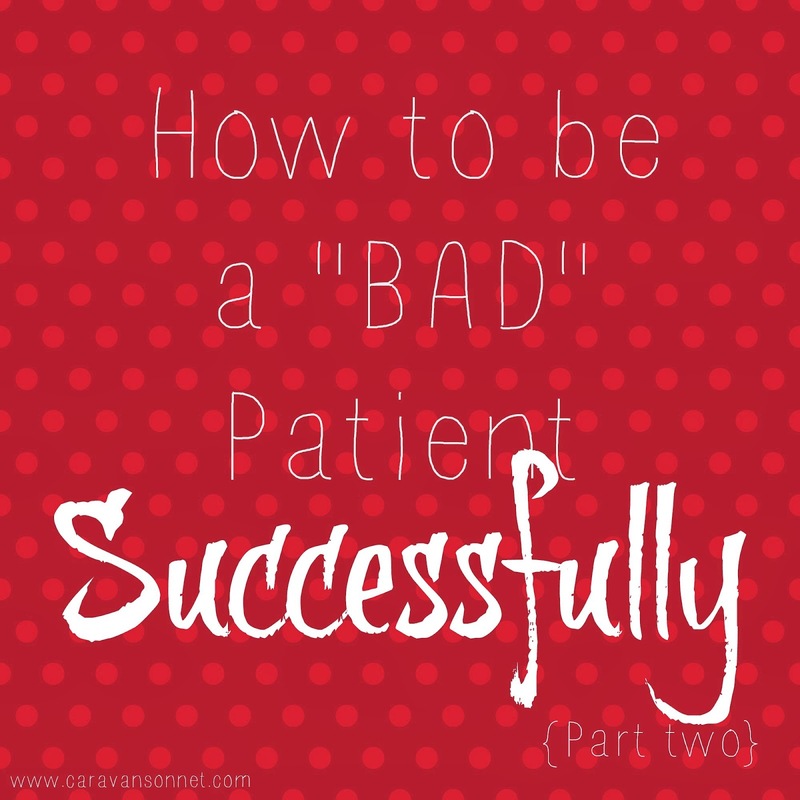 Check out Next Week's Blog post for three more tips on how to be a "bad" patient successfully! For as long as I can remember I have loved seeing beauty in different places and things. It is no exaggeration that I have always felt God's presence where I see beauty. To me God is not only an amazingly compassionate God but is the artistic and creative God who colors our world in amazing ways. 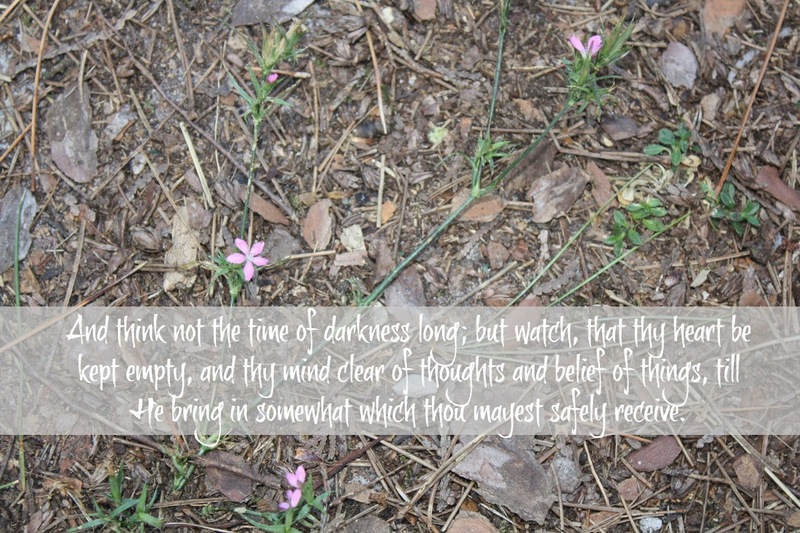 I truly see the Lord's constant hand in my life in the dark days due to the beauty that surrounds us everyday. And I love that our Lord restores our lives and makes all things new. Several years ago the Lord planted a dream in my heart to start expounding the small borders of this little artsy soul. I started to explore and embrace opportunities to bring more color into my life- not only in my physical world but in the places that I spent life. Amidst giggles (I think they secretly loved it *smiles*) my students embraced the fact that their history lectures would include vision board power points with lots of colors (yes, there were some issues because some colors did not translate as well from the computer screen to the large vision board screen *smiles*) and that my room would be filled with lots of color. I spent lovely hours painting and decorating my apartment, thoroughly enjoyed ballroom dancing several nights a week, tried my hand at sewing, and enjoyed the moments of finding treasures from estate sales, thrifting, and garage sales to restore. Throughout this time the Lord continued to develop and provide lots of opportunities to explore, learn, and grow ways to live and embrace a creative life. A couple of years ago I knew part of this dream was to work with paper to accomplish this and that is how The Paper Sonnet was born. Another part of this dream was to inspire the beauty of snail mail through the creation of The Parcel Post Tribe. Along with this though was the desire to expound on other areas and the dream to open a shop of lovely finds. I started to realize that the way that the Lord has designed me is in encouraging a love for simple beauty, finding vintage loveliness, and restoring old treasures. And so "Chalk and Pine" came to be. Throughout this past year the Lord has opened all sorts of doors and I have had the privilege of finding vintage lovelies and restoring treasures for specific projects. And then I knew that it was time to open a store on instagram. I am so excited to share this journey with y'all and "invite" you to the first insta-sale on Sunday, January 19th. Right now the plan is that I will be having a sale once or twice a month and these items will all be "smaller" so that they can be easily shipped. The shop will include items to inspire beauty in different areas of life, vintage treasures, and beautifully restored items. Want to follow along? I am so honored! Currently the website for Chalk and Pine is being "restored" (*smiles*), and the facebook page is a newbie, so please feel free to follow along on its instagram site by clicking HERE! 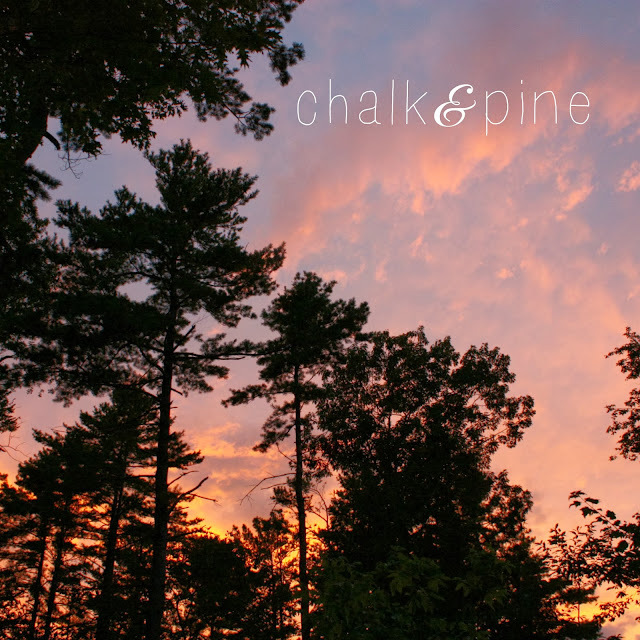 The name "Chalk and Pine" has special meaning and I look forward to sharing with y'all very soon. Thank you so much for all of your support throughout this new adventure. My dear sweet friends and fellow prayer warriors, I am always so humbled by the continued support, prayer, text messages, letters, packages in the mail, and the ways that you look to uniquely and creatively touch and encourage my little heart. Thank you for walking this long journey with me. I am so incredibly grateful. (one)- As I mentioned in the last Notes from the Porch update we found out that my metabolism has decided to completely shut down and that I would be trying a new drug. The first couple of days of this drug "appeared" to be ok. I wasn't doing great but I wasn't doing awful either. Unfortunately this particular drug can take up to three doses to have a reaction to and this is what happened to me. On Tuesday, December 17th I went into a SEVERE anaphylactic shock. I won't even begin to tone down that this was probably one of the scariest moments of this entire journey. I was so incredibly sick that I couldn't even move, couldn't breath, had extreme hives, a heart reaction, numbness - basically you name it- it happened. Since I was so sick that I couldn't even get to the car my parents called the ambulance and we went to the ER. To be frank- I have never never felt that sick in my entire life. I couldn't even pray complete sentences. Instead I was just whispering "Jesus, Jesus, Jesus" as my parents continued to pray over me. THANKFULLY, several extreme dosages of different meds at the hospital and LOTS AND LOTS of IV bags of fluids started to help calm this reaction down. I won't lie to you- as several of you are aware from the text messages that continued for the next several days (thank you so much again you amazing amazing friends that I can call and text any time of day or night!!) - the next few days were extremely unpleasant. Thankfully after two weeks ALL of the symptoms are out of my body. PRAISE GOD. (two) A few of you have asked what this means now for my metabolism. Honestly, I am not sure (which you are about to see is a HUGE theme throughout this post *smiles*). (four)- Unfortunately while I was in NY I contracted an infection and I can't even begin to express what a GOD THING it was that this did not become more serious. That is simply an ANSWER to SOO many of your prayers. THANK YOU!! While I felt pretty miserable, I cried with thankfulness that this did not involve a hospital stay! Thank you for all of your prayers! (five)- As I mentioned in my last post my stomach and colon have continued to give me lots of issues. On Wednesday night last week I was hit with SEVERE stomach cramps that were typical of times before I went out to Whitaker's last year. This one was so bad that I literally felt like I was dying and kept almost blacking out due to the severe pain. We have examined a few things with the doctor and we are going to adjust a few things. I know that many of you know this but this is one of the most difficult parts of this journey for me. A CONSTANT prayer request is for pain and healing in my gut area. ESPECIALLY because (as many of you know) this is where your immune system functions and processes all of the important things that you need. Due to some issues (that I am not going to discuss on here) I am not able to do more of the "alternative" healing ideas- (i.e.- Gaps, etc.) but I do appreciate so many of you that continue to email suggestions. I definitely always welcome ideas and I appreciate your kind understanding that we move forward with decisions that are best for my body. I continue to covet your prayers in this area as there are a lot of unknowns in this situation. (six)- Next week I have an appointment with my hematologist and lots of blood work to determine if I will need to start in on the iron treatments again. Honestly, while there were no severe reactions to the iron they are not that pleasant and am praying that this is not necessary at this point. 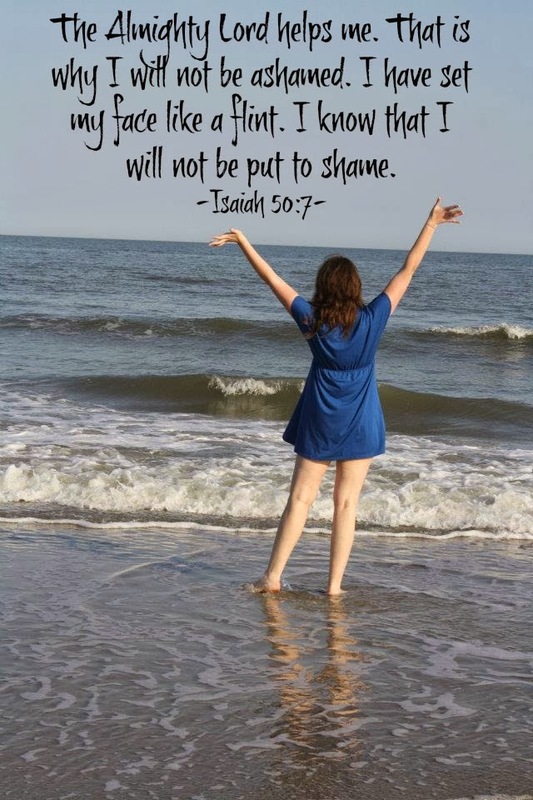 (seven)- We continue to praise the Lord for His mercy that there are no new Cancer spots at this time. I have a check up in a couple of weeks and they will be doing a few biopsy's on some spots that they are watching. (eight)- I can't even being to express how grateful I am for those of you that gave so generously in the fall to Rebecca's Run, to those of you that continue to give gifts of necessary alternative items (essential oils- Michelle, thank you thank you thank you friend! ), to checks that show up in the mail at the exact right timing, to those who just send me a gift card with a note that says, "we love you and we are praying for you everyday", to the generous financial donations of friends from years ago that I have not seen in over a decade, to the generosity of strangers who have just heard my story and want to help. I am so incredibly grateful. Each donation is used for my treatment and medical expenses alone and every.single.penny. is a gift. Through you I am able to have some treatments right now (reflexology, hyperbaric oxygen treatment- soft covered, etc. ), see some doctors that I must see, and help pay for the hundreds and hundreds of little daily medical needs. This is not dramatic to say that I honestly don't know what my family and I would do without your generosity. (nine)- Thank you so much to a couple of you that have been praying for my emotions- especially with fear these last several weeks. I am SO grateful for dear dear friends that I can confide in and who lovingly and faithfully pray and encourage me with their words. Many times your text messages bring me to tears with such gracious encouragement. 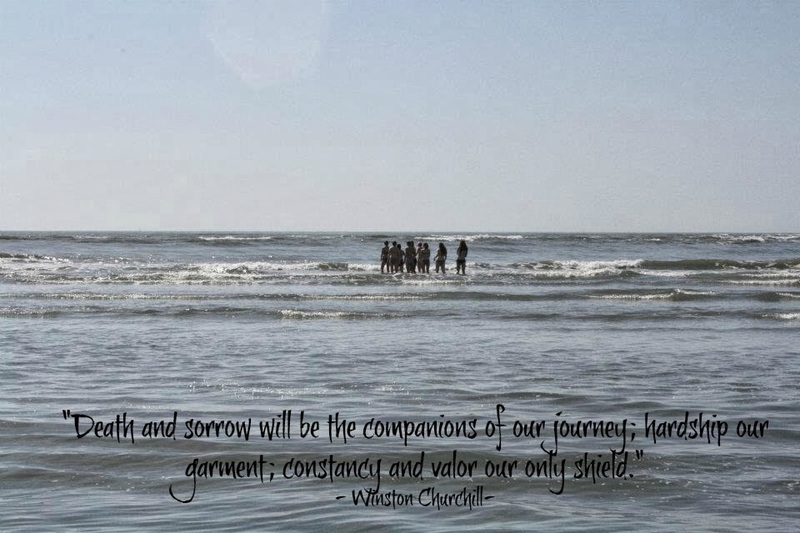 While it is easy to sometimes focus on the friends that walk away in these difficult and serious situations, I can't help but be AMAZED at the friends who not only have stayed in this journey but TRULY have taken on my burdens as their own. In many ways they have lovingly showed me again and again that the Lord is near to the brokenhearted. Thank you. To those of you that are not familiar with anyone who has a serious or chronic illness I don't know if I can adequately describe the way that fear can truly paralyze you. There are so many things that you can be afraid of: that this will never end, that you will never get better, facing your own mortality, financial needs, etc. It is hard and there are times throughout this journey that fear has come in to rob me of the precious moments that are in front of me. After the reaction to the drug and the night in the ER I texted one of my friends and just broke down saying that I was so overwhelmed with fear. Emotionally the last few weeks - both prior and since the severe drug reaction in December -have been incredibly difficult for me personally as I was fighting to finish up one of my last semesters of graduate school, I made the decision to not continue to go for my PhD next year (which felt like I was "stuck" in this journey), the reality that the life that I "wanted" is not possible right now, a close and dear friend passed away due to an illness, some personal things were going on, the pain and nausea were a million times worse then ever in this journey, hearing the news that a former co-worker and former students mom had gone home to be with Jesus, my doctor from Whitaker's telling me that "she wasn't sure what to do as their protocol as always worked for others", finding out that a doctor (who is a Lyme Specialist) is not taking new patients - and this was someone we were planning to see in March and feeling completely clueless as to where to go from here. Needless to say it has been a very difficult four weeks. There have been lots of tears. Lots of quiet moments asking the Lord for direction. Lots of hugs of comfort here at our house. Lots of "what are we going to do now" conversations. And to be frank, not a lot of answers yet. 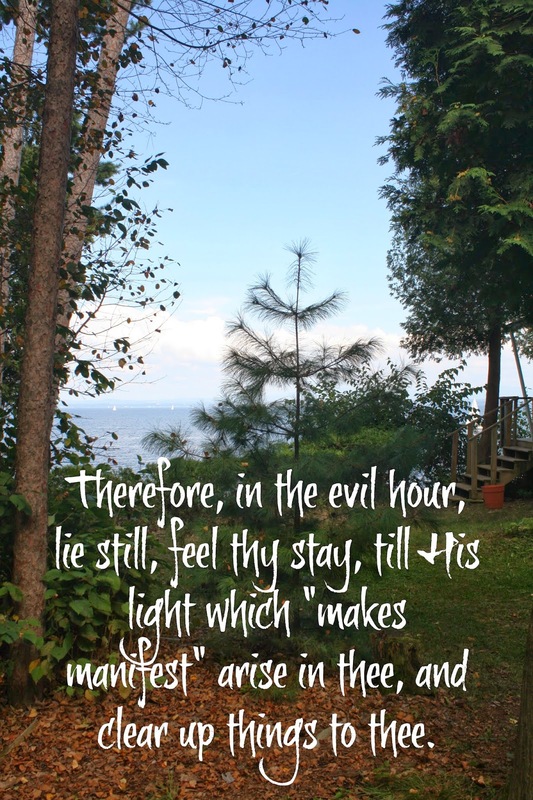 As I said a very long time ago in my very first "Notes from the Porch" post, my faith has not been shaken despite this time of severe testing. 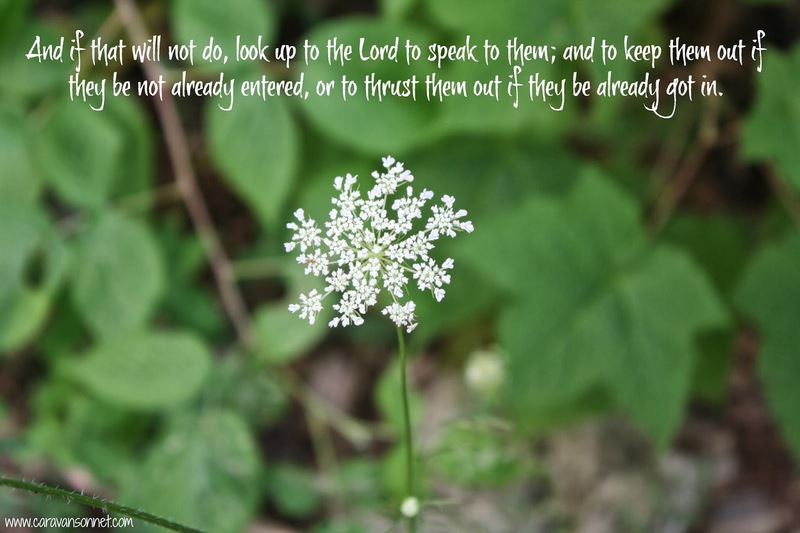 I must learn to be faithful in this assignment… one that I certainly never would have asked for but one that I pray will and can still bless and serve my precious Lord and Savior. Yes, I do have certain fears about the future with my health and there is a deep sadness as I am surrendering in a new way than I ever have had to to my precious Lord. There is a WHOLE new vocabulary that I am having to learn and coming to know… one filled with health jargon that I have never wanted to know nothing about. There are lots of tears. BUT there have also been extraordinary blessings amid the darkness. I do not believe that this is an accident, and I don’t believe that this is not “of God”. We live in a fallen world where all of us- and creation in general- fall short, because of sin, of what God intended for us, and illness and crime and cruelty are just reminders of that “fallenness”. I trust God’s sovereignty over my life and for this sickness. God can HEAL, but in the meantime I trust that even this illness and these problems that I am experiencing may serve HIS good and holy purpose. I pray that through my little life even this situation may encourage others to arouse love and care in others, to inspire people to turn our trust from myself to HIM and maybe in some small (struggling) way maybe spur some to reflect on what is truly important in life. I TRUST that I WILL see the GOODNESS of the Lord in the land of the Living (Psalm 27) and do know that the Lord truly SHOUTS to us in our pain. 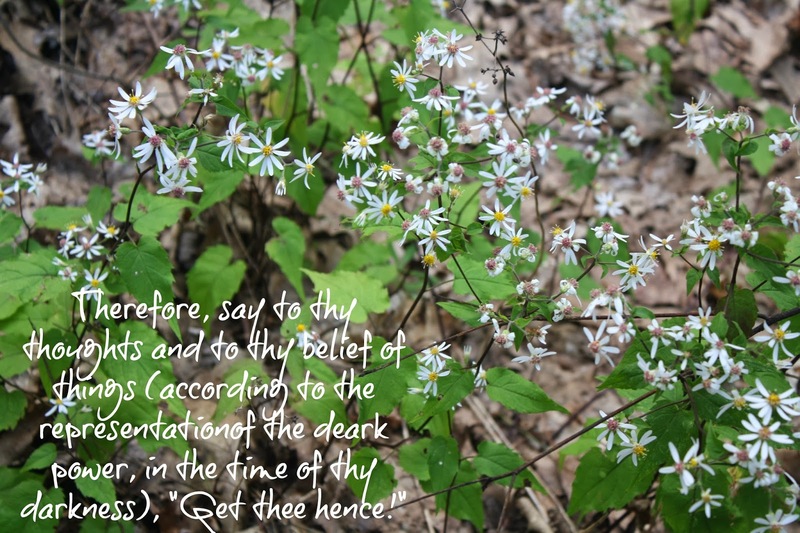 So as I move forward in the next days and weeks ahead I would covet continued prayer for the things all mentioned above and for those that remain deeply difficult and unspoken. 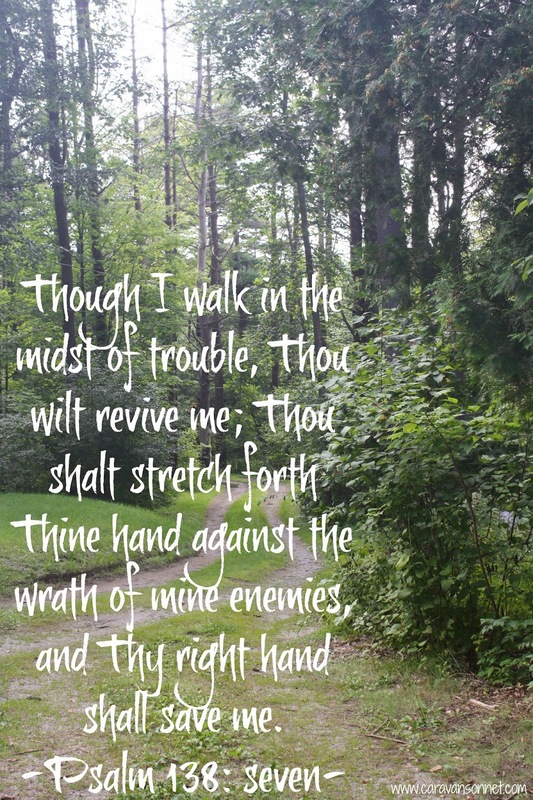 I ask for prayers for wisdom for these next steps of the journey and where to go to receive continued treatment- whether back to Whitaker's for another round of treatment or moving forward, we covet your prayers for wisdom. Thank you so much sweet friends. You are such a blessing to me! Love y'all!! 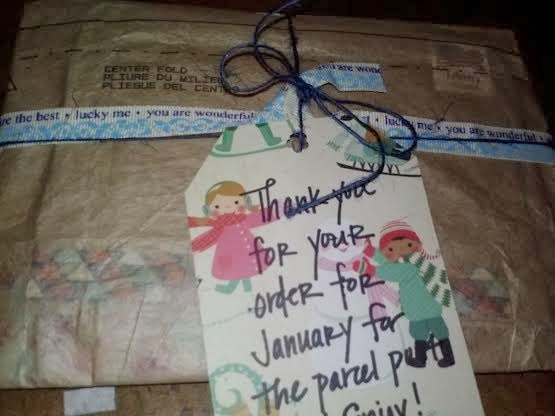 parcel post tribe members ~january orders have shipped! 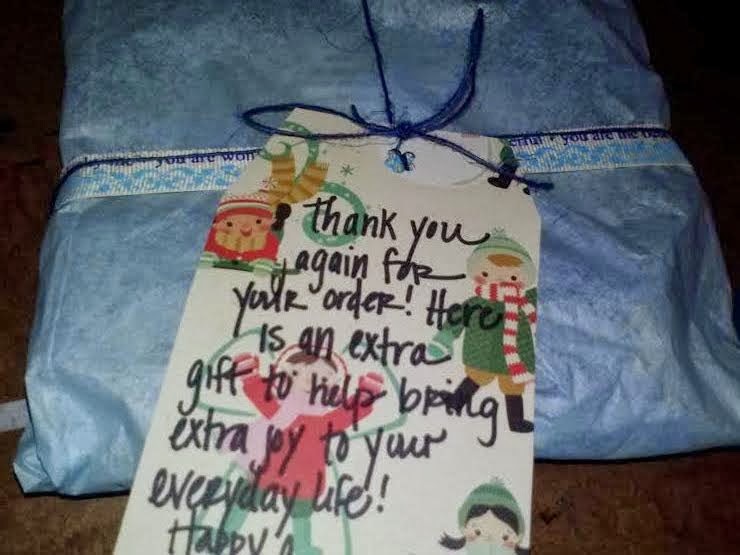 Attention lovely parcel post tribe members! Your January order has shipped! Enjoy!! Not a member? Read all about this program HERE! 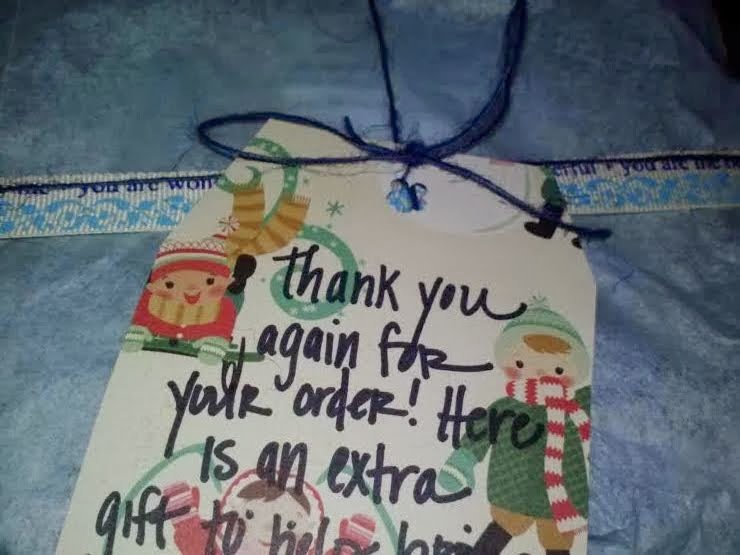 Cards wrapped up with vintage sewing patterns and sweet ribbon & twine! The fun and colorful packages have shipped! Thank you again for all of your support y'all! Before I became seriously ill I had always admired and appreciated the kind and helpful pharmacists over the years that I have talked with and encountered. There were several times that I would call to ask general questions and these pharmacists would patiently help me by giving their time to answer questions. 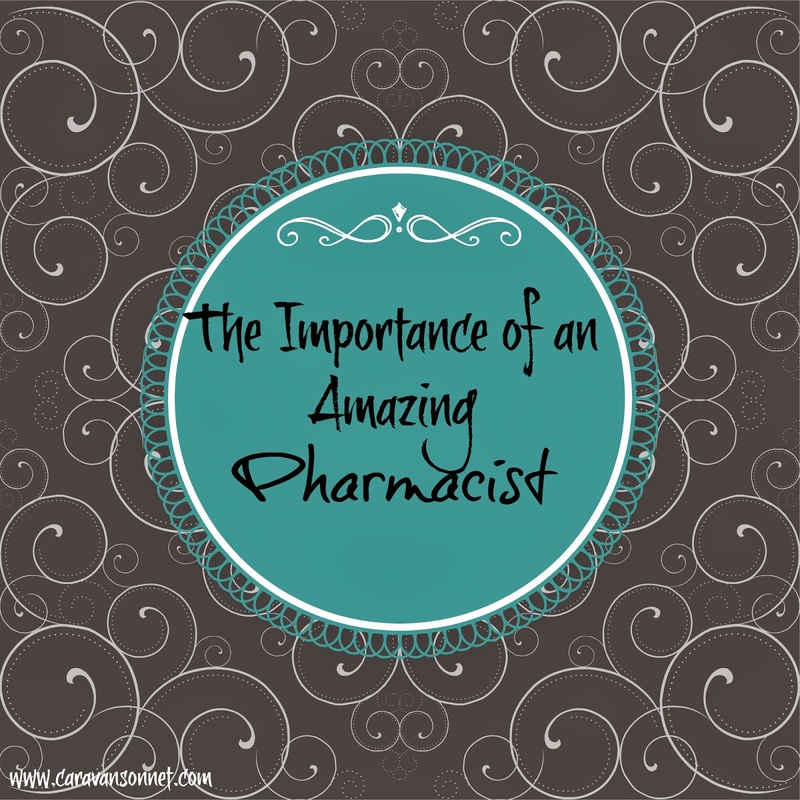 But several years ago I learned the importance of having an amazing pharmacist in your "circle" for everyone- not just those struggling with serious or chronic illnesses. (One) A huge motivating factor was because since I live in two different states this allows me the ease and freedom of having prescriptions easily transferred. (Third) my personal experience with Target Pharmacists has been by far the BEST service that I have ever received from any other pharmacist. My local branch (in both states) knows not only my name, but is beyond friendly and courteous and patiently answers the thousands and thousands of questions that I have. They are an incredible blessing to me. (Fourth) because they have all of my prescriptions (and I have let them know the ones that are made at the compounding pharmacy) they can easily tell me if any new prescription - even over the counter ingredients (and my supplements)- will interact with my current prescriptions. This is SUCH a blessing as before I switched to Target I unfortunately spend the night in the ER due to another pharmacy not catching a drug interaction (despite the fact that I had asked). (Fifth), many (but not all) Target pharmacies offer the "Pharmacy Reward Program". In this program after you purchase five prescriptions you receive a 5% coupon in the mail to Target. Now, this is not a lot but with money being so tight EVERY.SINGLE.PENNY. is a blessing and this definitely qualifies! (Sixth) the pharmacists at Target go above and beyond their job description by helping their customers. I can't tell you how many times I have had a doctors office say "we will call that in right now" only to arrive at the pharmacy hours later and the prescription has not been called in. Instead of making me re-call and deal with the doctors office (because seriously who wants to do that when you already feel yucky??) these pharmacists have gotten on the phone and helped me immediately. Before I switched to Target I can't tell you how many times I had to make the phone calls and the frustration and stress that caused. (Seventh), Target pharmacists are not only helpful but extremely knowledgeable and have taken the time to understand that I am not only dealing with chronic illness but that I am fighting Cancer and Lyme Disease. Their willingness to help me come up with solutions to have the least amount of side effects (so that I don't need countless other prescriptions) has been a blessing beyond words. p.s.- A HUGE thank you to the pharmacists that have truly touched and blessed my life these past few years! Thank you so much Ashley, Lori, Stephanie, and Jamie! You are SUCH a blessing in this journey! *As stated above: in order to receive the current months order you must purchase the tribe membership by the 7th of the month. If purchased after this you will receive the following months package. *Cards will be mailed out NO later than the 10th of the month, but often times will be shipped out much sooner! *The e-newsletter will be delivered on the 20th of the month via email. 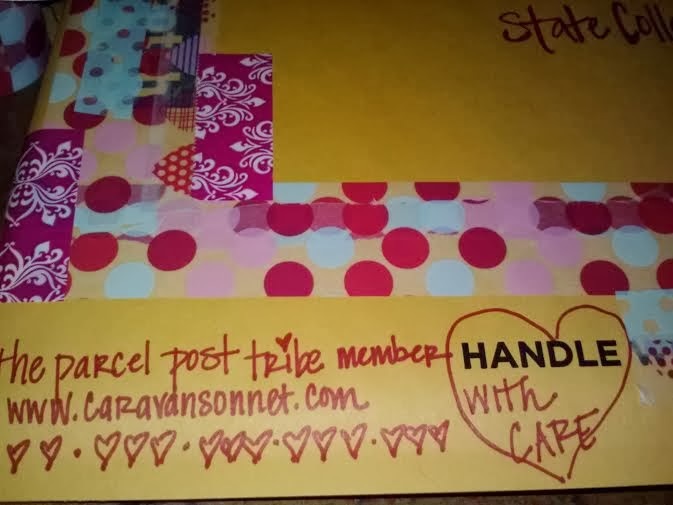 Please feel free to check out updated information by clicking on the parcel post tribe tab above! (1) Courage and boldness, as in battle; bravery. (2) boldness or determination in facing danger. All three definitions are what I want my life to be this coming year! As I move forward to fight for my health in new ways and to step out in many areas of my life I know that I need courage and boldness. As I lean on the Lord's strength to conquer the "unknowns" of what lies ahead with my health, life after graduate school, healing, relationships, etc. I can rest in the knowledge that His strength will give me boldness and determination to face the "dangerous unknown". And finally, I need this quality of spirit to face the pain of illness, the strength to believe in the impossible, and the lovely peace that comes from trusting a Sovereign God fully without fear. I just finished reading the book, "a light still shines" and like few other books have this has impressed upon my heart the impact of living with valor. 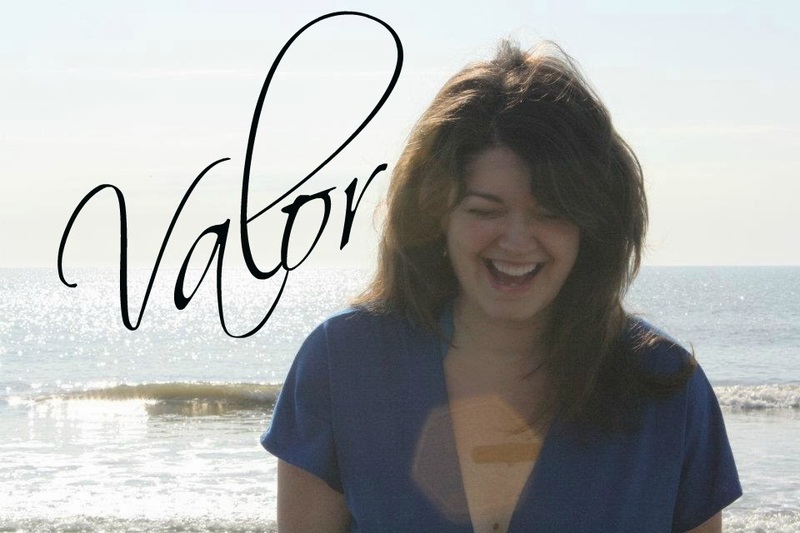 Valor that touches the hearts of others for the glory of God. Sometimes valor means forgiving those that the world would deem "unforgivable". Sometimes valor is reaching out to someone who is hurting and putting down your own "rights" to that "deserved" attention. Sometimes valor is being courageous enough to do the impossible like the citizens of La Chambon (a World War II French town that helped save approximately 5,000 Jews). 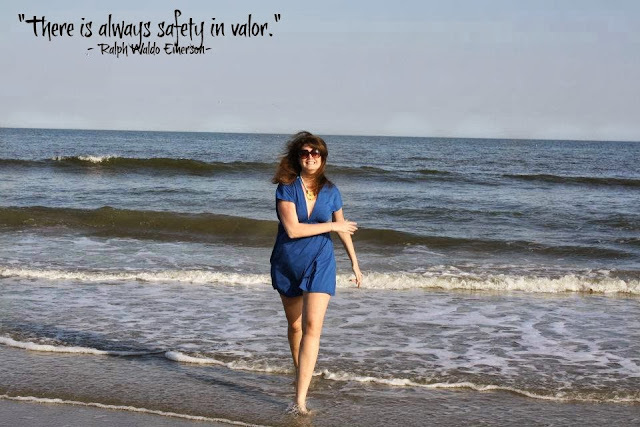 the situations that arise in the coming year I want to live with valor. Did y'all pick a "word" for this year? I would love to hear about it and what the significance is to you!! Have a lovely day friends!